Even though snoring is a common affliction, it can become a serious health concern for some people. It can disrupt breathing, put strain on the heart, cause low oxygen levels in the blood, and cause headaches or fatigue. Therefore, it’s important to try and cure your snoring. Many people use anti snoring devices, but there are other options. For example, one alternative option is nasal cones. Nasal cones look exactly how their name implies. They are cone-shaped inserts that go into each nostril. Typically, they are recommended for nose snorers. Nose snoring is caused by small nasal cavities or stuffed nasal cavities. However, sometimes they are recommended for individuals with sinus problems to provide congestion relief. They can be used in combination with mouth guards, and other anti-snoring devices, to maximize results. Their function is to keep nasal passages open and increase airflow. 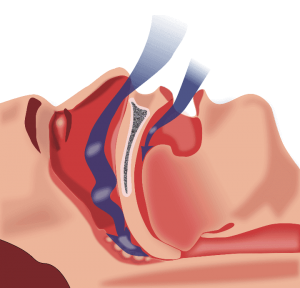 They give nostrils extra support and prevent them from collapsing while you sleep, which is the primary cause of nose snoring. Nasal cones are supposed to be inserted right before you go to bed. Nasal cones don’t work for everyone, but it’s worth trying them out before completely dismissing them. If you do try them and they don’t work, you can always try using other popular devices that prevent snoring. Even though nasal cones may not work for everyone, they have some unique benefits that make them worth trying. Unlike other devices, there is clinical research backing the reputation of nasal cones. Studies show that nasal cones improve airflow while you sleep better than nasal strips. 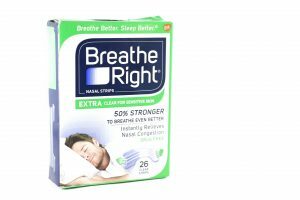 If you use nasal strips but still experience some snoring throughout the night, you might want to consider using nasal cones to try to completely resolve snoring. Nasal cones come in three varied sizes: small, medium, and large. This is one of the reasons they work better than some other snoring aids. Instead of having a “one size fits all” feel, they cater to different nostril sizes. The better they fit the more likely they are to stay in your nostrils throughout the entire night. A nasal cone’s exact design depends on the brand. For example, some nasal cones are two individual cones, while other cones are connected to each other and look like they clip into the nose. The main reason nasal cones fail to work is because individuals don’t use the correct size. Another benefit of nasal cones is many manufacturers offer 30-day money back guarantees. However, not all nasal cones come with a guarantee. Therefore, if a guarantee is important to you, make sure you ask about which products come with a guarantee. Before going out to purchase a set of nasal cones, know how to size your nose so you buy the correct size. Sizing your nose is a lot simpler than sounds. Take your thumb and place it at the edge of a ruler, measuring the width of it. If your thumb is .75 inches or less, you will need a small. If it is between .75 and 1 inch, you will need a medium, and if your thumb is larger than 1 inch, you will need a large. If it is difficult to determine the exact parameters of your thumb, purchase the two closest sizes using the measurement technique listed above. Try both sizes and use the one that fits better. It’s possible two sizes will be needed as your nostrils may be two different sizes. Individuals suffering from a deviated septum or a nasal valve collapse will most likely need two different sizes. When purchasing nasal cones, also consider their softness. Individuals with a deviated septum, sleep apnea, or dry mouth will probably want to use nasal cones that are softer. Individuals with allergies, colds, or sinus congestion will prefer nasal cones that offer extra support. Many devices can help prevent snoring. Snoring pillows, nasal strips, chin straps, and mouthpieces are all viable anti-snoring devices. While they may be more common devices, nasal cones are becoming more popular. 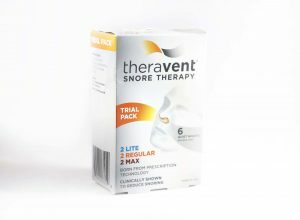 They often work better than nasal strips and offer better internal support than other anti-snoring devices. So, are nasal cones worth it? It is difficult to say, as it really depends on personal preference. However, you should at least give them a try before moving on to other devices. If you find the correct fit, there’s a good chance your snoring will drastically decrease. It is worth trying to stop yourself from snoring so you can sleep better during the night, which will positively impact other areas of your life, such as your energy and overall health.